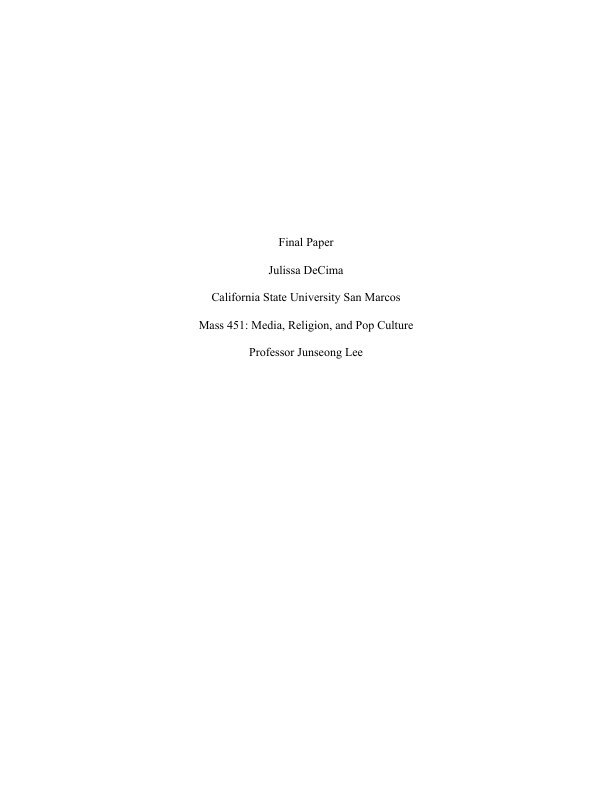 The topic of my research paper is Star Wars, a title that is popular worldwide. Star Wars has become its own franchize and in studying it I have realized that it highlights every single aspect of this class. This movie was first released in 1977 and is still releasing a new movie this year 2016. It has the international gross sales of over one billion dollars and is the number one box office seller in the United states. So considering that Star Wars has become the best movies series of all time I took it upon myself to research on why it has become so popular for four decades. And what I have found is that because of the Judeo-Christian spiritual principles (that reflect American culture), found in Star Wars it has become its own religion. It is a prime example of how capitalistic practises have been infiltrated with religious beliefs in order to create a commodity. And in exploring further my analysis I have asked this question, what are the specific spiritual undertones found in the franchize of Star Wars films and how has the use of religious practises found in these films become a commodity? Is Star Wars one of the many examples of how spirituality has been commodified in order to create a loyalty to a capitalistic system?